The perfect giveaway for any outdoor event, our SPF-30 Sunblock Lotion Pocket Pack offers maximum protection for minimum cost. Sunblock is at the top of every skin-care list these days, so stock up on bulk sunblock to give to your customers! 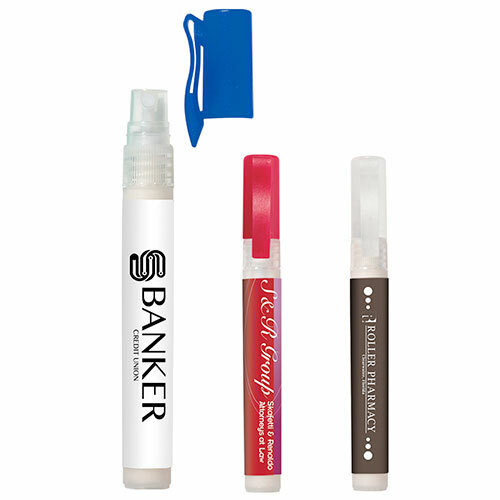 It’s the best thing since imprinted lip balm! 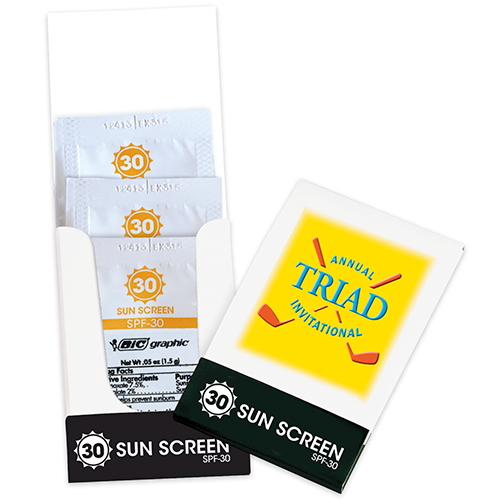 These pocket packs are great to promote yourself using sunscreen logos. Order your bulk sunblock now and watch as it works wonders at endearing you to your customers. Order now! "These quick and easy-to-use packets are very handy. " "A majority of our clients are women. Made sense to go for this sunblock lotion pack. " Compact way to avoid Sunburns!